ETO speed sensors measure rotational speeds in gear boxes and ABS applications of vehicles without contact. The sensors are distinguished between inductive and active sensors depending on the mode of operation. The active sensor with integrated evaluation electronics enables direct detection of the rotational direction and transmits this signal with different pulse widths to the control unit for evaluation. Speed sensors in braking systems are implemented as inductive sensors due to the high heat exposure of the pole wheel in commercial vehicles. 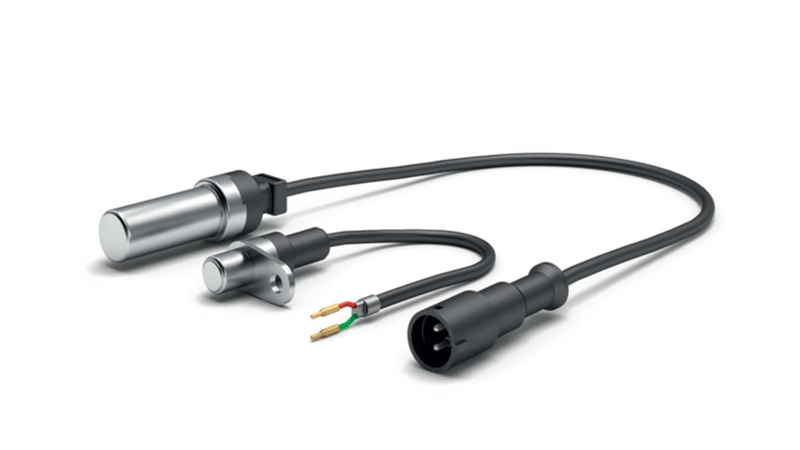 Both sensor designs stand out with a robust construction with media-tight cable connection, which enables their use even under unfavorable environmental conditions. The compact design of the sensors makes them an attractive solution even for small installation spaces.